Ethylene–vinyl acetate (EVA) copolymers are in dependence on their chemical composition, amorphous, or semicrystalline materials. Therefore, fractionation techniques which are based on crystallization, such as temperature rising elution fractionation (TREF) and crystallization fractionation (CRYSTAF), cannot offer information about the chemical composition distribution of these polymers in the case of amorphous samples. Liquid chromatography has been shown to be a valuable alternative; yet, systems based on silica gel lacked in terms of long-term stability. Using porous graphite, this drawback may be overcome. 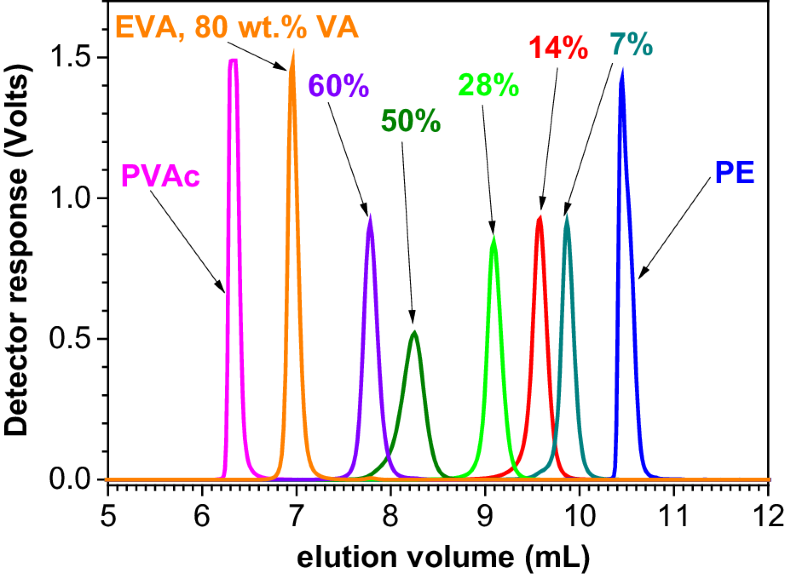 An HPLC column packed with porous graphite Hypercarb™ and a solvent gradient 2-ethyl-1-hexanol (or cyclohexanone) → 1,2,4-trichlorobenzene can separate EVA copolymers over the full range of VA content at temperatures above 100 °C. 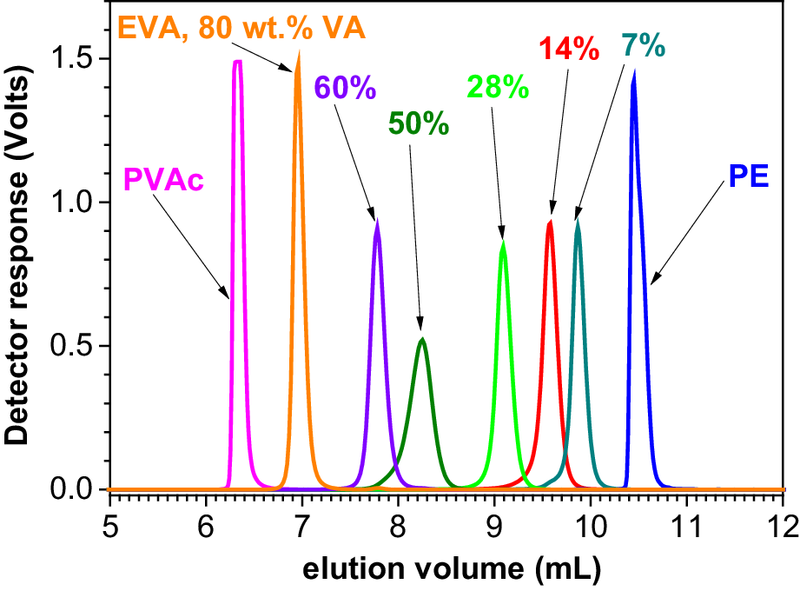 A linear dependence between the VA content of the copolymers and their elution volume could be established. 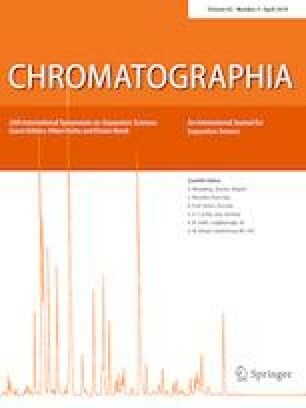 Moreover, the chromatographic resolution is larger than obtained using silica gel as stationary phase. Advice and help at work with the PL GPC220 chromatograph and the ELS detector offered by Mr. R. Linz (Agilent, Darmstadt, Germany), Dr. S. O’Donohue and Dr. J. Yakhoul (Agilent, Church Stretton, England) are highly appreciated. The authors declare they has no conflict of interests. This article does not contain any studies with human participants or animals performed by authors. The authors confirm compliance with ethical standards.